Next up is Erin Alice, a South African cutie whose face (and smokin' hot body!) you'll recognize from her work with companies like Abercrombie & FItch and Garnier. Did you know that Erin loves to watch rugby, feels sexiest in gym clothes, and would be a teacher if she wasn't a model? Now you do! Join along as she plays the "Word Association Game" in the video above, and be sure to check out her bio below where she'll reveal the best dish she can cook, her favorite SI Swimsuit model, and so much more! 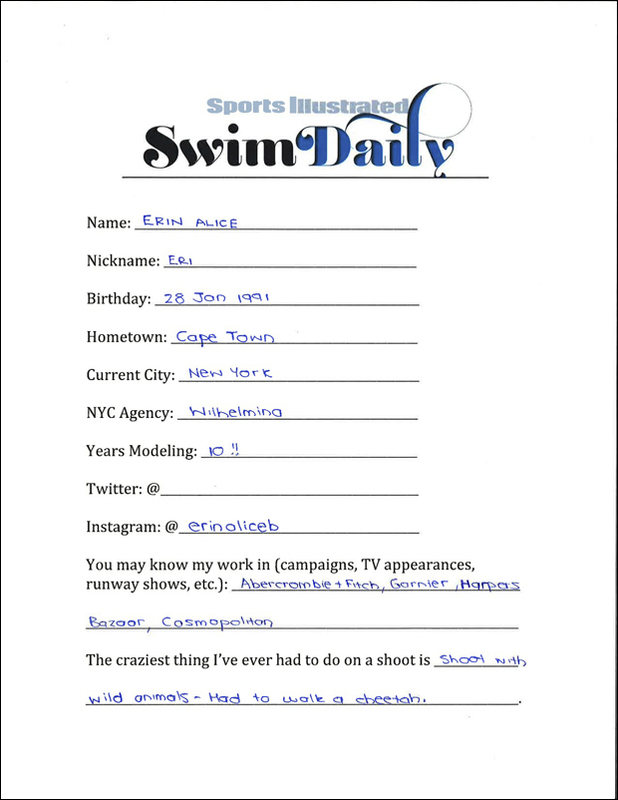 BONUS: See some of Erin​​'s career highlights below!